It happens to top athletes and amateurs alike: with one explosive motion, your ankle is suddenly swollen and painful. What happened? More often than not, when involved in athletic activities that rely on quick lateral movements and frequent starting and stopping, the dynamics of the sport mean that injuries manifest in the foot and ankle. The most commonly diagnosed ankle related injury in sports is an ankle sprain. It seems like such a simple diagnosis too: swelling, bruising, and deep pain. Often when these symptoms manifest, they’re diagnosed and treated conservatively. However, it’s not uncommon for a lateral ankle sprain to be diagnosed without considering broader problems that present similarly. Below, we’ll review 4 commonly misdiagnosed injuries that should be included in the diagnosis of an ankle injury: peroneal tendon injury, talar fracture, navicular fractures, and fifth metatarsal fractures. Prompt recognition and appropriate treatment lead to optimal healing and prevent frequent reinjury and disability. Peroneal tendon injuries often occur during sports that involve frequent lateral movements, such as football, basketball, and soccer. The injured may have felt a “pop” at the time of injury, and subsequent ankle issues are often described as a “snapping” around the ankle during activity. Untreated peroneal tendon injuries can result in chronic ankle instability. Injuries to the talus bone, also known as the ankle bone, often happen concurrently as ankle sprains. These sorts of injuries typically involve underlying cartilage, which lead to persistent pain problems if left untreated. Talar fractures may be managed with immobilization and nonweight-bearing activity for four to six weeks, but only after seeking the advice of a specialist. athletes. They are often a stress injury, as the navicular is the area of greatest stress and impact. This sort of injury usually presents gradually and midfoot, and seems worse during and after activity. Though it can often be treated conservatively through nonweigh- bearing immobilization, some cases may require surgical attention. Surgery has a high success rate and a far shorter duration before return to activity, making it incredibly appealing to active athletes. A fracture of the fifth metatarsal can manifest in several ways, and can occur for all the same reasons as an ankle sprain. 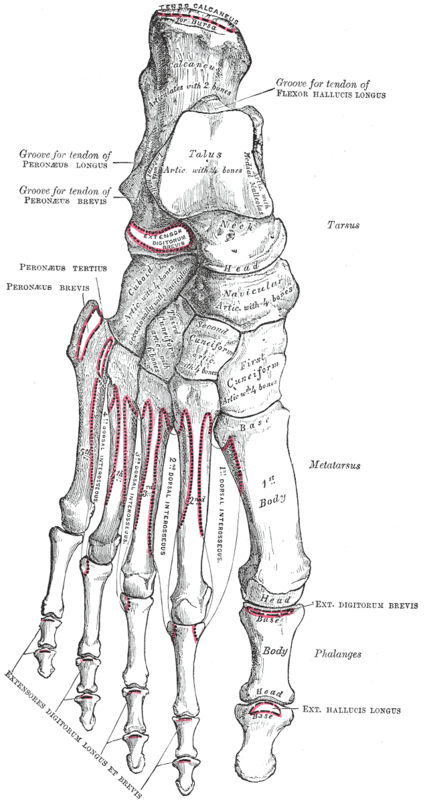 One of the key differences in physical diagnosis is a tenderness upon touching along the bone in the foot. Depending on the type and extent of the injury, treatment can range from conservative to surgical. By now you’ve likely read our blog entry on exercises to strengthen ankles, so you know what sort of preventative measures you need to take to ensure you perform well athletically without injury. But if you have already acquired a foot or ankle injury from a sport, give Dr. Anthony Weinert a call. With two conveniently located offices in Troy and Warren MI, you can easily stop your foot pain fast. If you would like to call our Troy office, you can do so by calling (248)362-3338. You can also call our Warren office at (586)751-3338. Scheduling an appointment has also been made easy through our “online appointment request form” which can be found on our website.